This blog was originally posted on September 22, 2016 on the U.S. Green Building Council’s website. It is republished here with their permission. Dr. Vicki J. Martin, Milwaukee Area Technical College president, shares MATC’s initiatives to prepare students for careers in a green economy. Dr. Vicki J. Martin, Milwaukee Area Technical College president, talks about some of the current initiatives to prepare students for careers in a green economy, as well as her perspective on what it takes to make and keep sustainability commitments across a large college community. Tell us a bit about Milwaukee Area Technical College and your role here. Milwaukee Area Technical College is the largest technical college in the state of Wisconsin. Serving approximately 40,000 students annually at four campuses, two education centers and 40 community-based organizations, MATC prepares our students for high-demand, fast-growing careers. Backed by practical, expert-led, hands-on learning, more than 90 percent of MATC’s associate degree graduates and more than 91 percent of our technical diploma graduates are employed within six months of graduation. Our college and graduates make significant contributions to the southeastern Wisconsin region—92 percent of our graduates live and work in the greater Milwaukee area. I have had the privilege of serving at MATC for 28 years and was named the college’s 10th president on June 24, 2014. I am proud of the relationships the college has built with our business and industry partners, all of which strengthen our community. MATC has become a national center for energy technology excellence. We currently offer, and continue to develop, comprehensive occupational programs and courses with programs in energy engineering, environmental health and sustainability, in addition to the training and educational offerings in wind, solar and geothermal energy. As we modernize our buildings’ lighting and heating, recycle aggressively, adopt hybrid vehicles and use solar, wind and geothermal energy throughout our campuses, we are preparing our students to contribute to the world’s exciting green energy future. How has the platform of the Climate Leadership Awards supported or inspired your community? The Climate Leadership Awards give MATC the opportunity to showcase the wide range of sustainability commitments we have within our own facilities, our commitment to renewable technologies, our pursuit of carbon neutrality and the first-class education we provide our students in these technological fields. Our commitments run deep at this institution, and the Climate Leadership Awards provide us the opportunity to talk about our achievements and the drive to meet ambitious goals. Can you tell us about any projects or initiatives on campus that are particularly close to your heart? A current project that caught the imagination of our student body, faculty and cross-sections of our staff is the successful implementation of composting in our food laboratories. 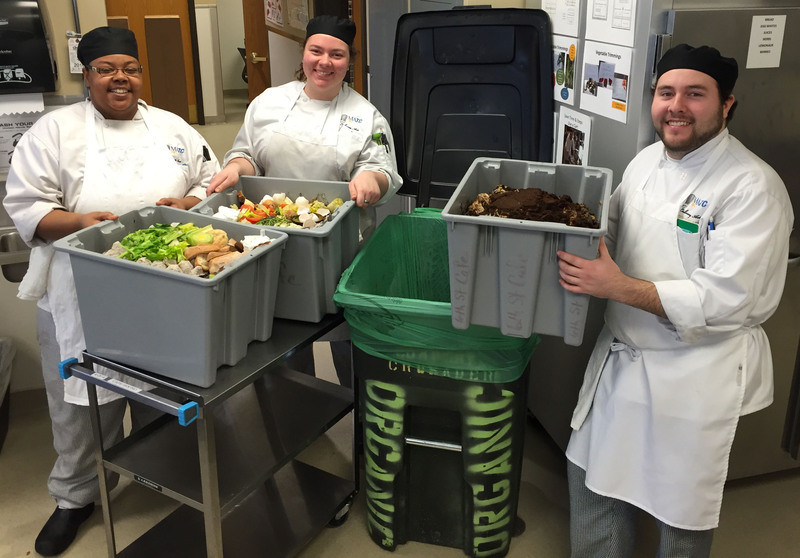 This initiative was spearheaded by culinary arts instructors, who pursued and won a grant to cover the costs, working with campus operations staff and students to set up infrastructure and train personnel to effectively divert one ton of food waste from our Milwaukee campus food laboratories and cafeteria operations. Our success has been built upon the deep commitments from all stakeholders as a measure of accountability to our community and our college constituents. 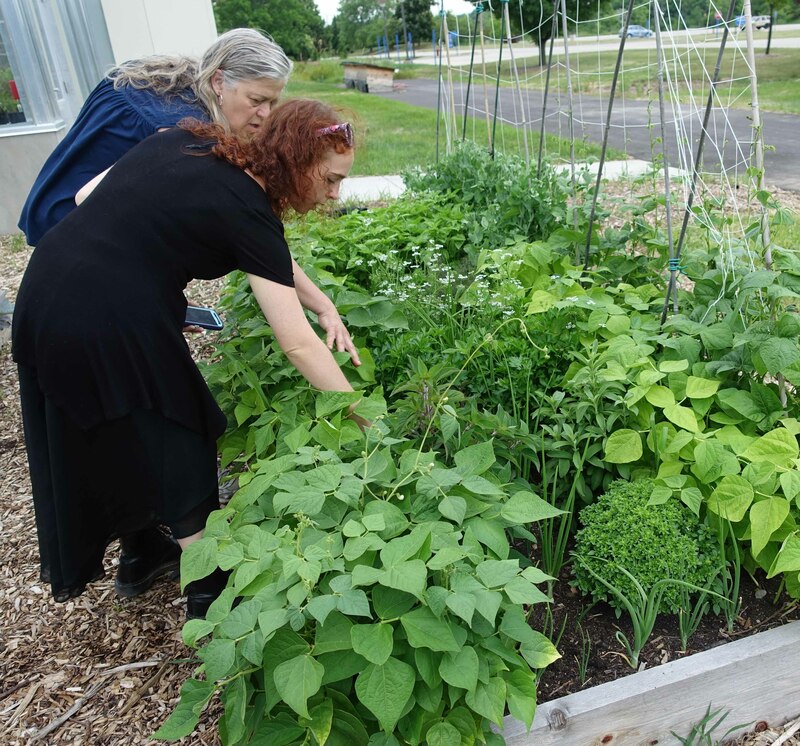 Sustainability is highlighted at MATC as one of four transformational college goals, and a core committee with broad stakeholder involvement and support provides direction, establishes measurable goals, and ensures funding and support for initiatives that move us closer to meeting our goals. Last year, we hired a full-time sustainability manager to oversee the college’s sustainability projects in construction services and facilities operations, guiding the college’s continuous improvement and measurement of energy efficiency and sustainable practices. Do you have any advice for your peer institutions on how they can demonstrate sustainability leadership? Having a support network that puts the college in a position to succeed is critical to the success of becoming a sustainable campus. Identify stretch goals, fund key initiatives and evaluate outcomes to demonstrate strong return on investment. Incorporate sustainability into your daily work and distribute the responsibility of meeting these goals throughout various cross-functional teams and departments. Are there any other activities or initiatives in the coming year that you would like our audience to know about? We are working with the National Renewable Energy Laboratory on a solar screening study to identify more areas on our campuses to broaden our solar energy production. We also have a districtwide lighting initiative underway with 570,000 kilowatt hours per year in targeted annual savings, amounting to about $62,500 saved in electricity costs each year.